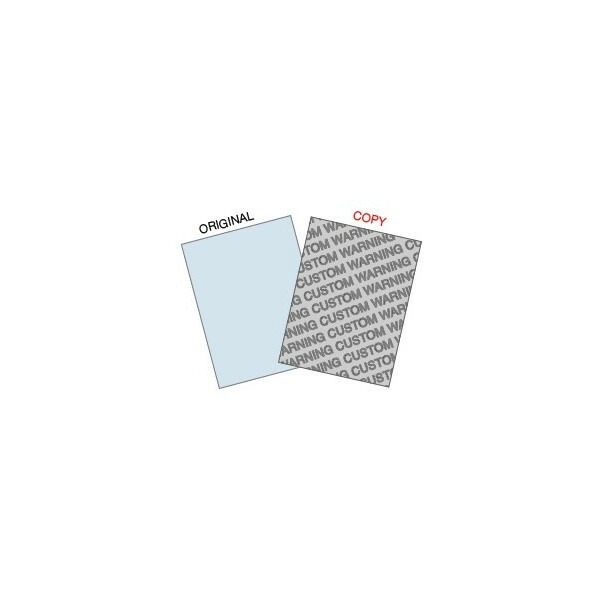 1 Ream (A4 500 Sheets) of Copy Protect Paper with your own "MESSAGE" embedded. NOTE: Please call us to discuss colour, design and print. 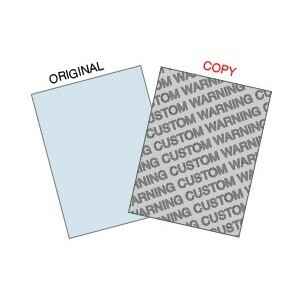 When copied your own custom warning message will appear on the copy. Please enter your custom text in the textfield provided or call us to discuss it further.